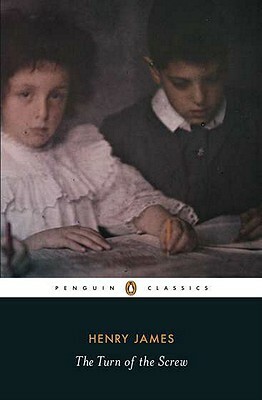 A chilling ghost story, wrought with tantalising ambiguity, Henry James's The Turn of the Screw is edited with an introduction and notes by David Bromwich in Penguin Classics. In what Henry James called a 'trap for the unwary', The Turn of the Screw tells of a nameless young governess sent to a country house to take charge of two orphans, Miles and Flora. Unsettled by a dark foreboding of menace within the house, she soon comes to believe that something malevolent is stalking the children in her care. But is the threat to her young charges really a malign and ghostly presence or something else entirely? The Turn of the Screw is James's great masterpiece of haunting atmosphere and unbearable tension and has influenced subsequent ghost stories and films such as The Innocents, starring Deborah Kerr, and The Others, starring Nicole Kidman. This Penguin Classics edition contains a chronology, further reading, notes and an introduction by David Bromwich examining the dark ambiguity of James's work and the inseparability of narrative from point-of-view. Henry James (1843-1916) is the author of such classic novels as Daisy Miller, The Golden Bowl, and Washington Square. David Bromwich is a Sterling Professor of English at Yale University.